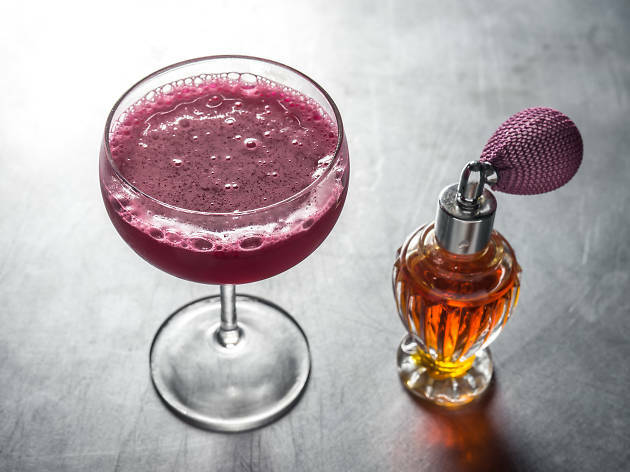 ORDER THIS: Don’t shy from the namesake coup ($13), a tangy-sweet candied-beet number that’s misted with earthy mace at the table. 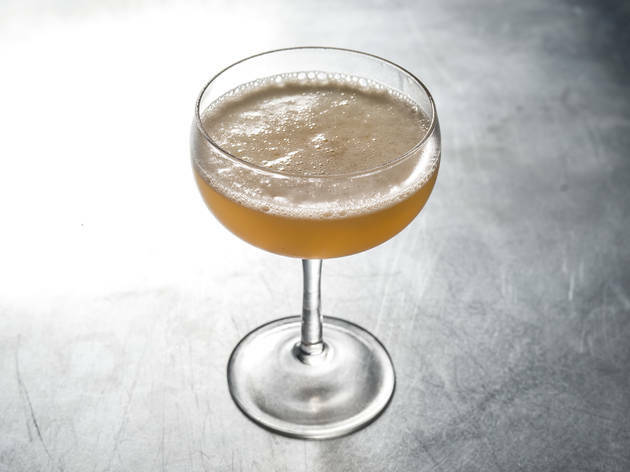 The soft green-colored Grass ($13), laced with white-tea–infused shochu and grass cordial, is served in a Japanese teacup and hints at summertime, as does the hay-fat–washed cognac Chamomile ($16), cut with zesty lemon and a bit of bubbly. 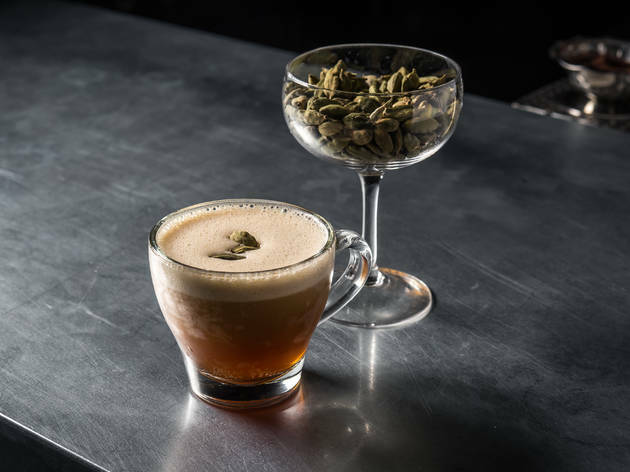 The vodka-based Cardamom ($13) pairs pistachio with nutty cold-brew coffee and just enough of the baking spice to warm up the froth-topped mug. 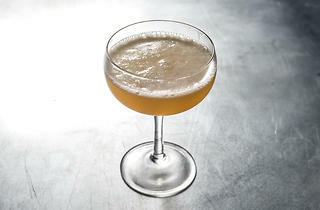 GOOD FOR: Heating up your next date. 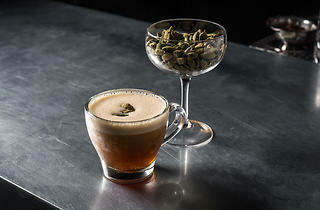 The exotic menu means you’ll have to be a bit daring, sipping strange spices such as Filipino pandan and Indian ambrette. 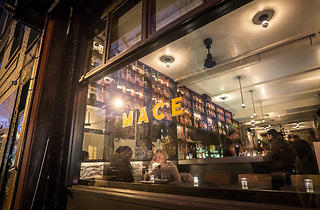 The cozy, golden-glowy space is virtually made for close encounters, sparsely decorated with a zinc-topped bar and tiny two-top tables that give you just enough room for a pair of cocktails and flickering votive candles. 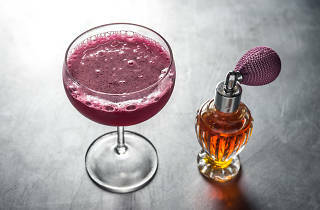 Tuck yourselves into one of the cushy benches and toast to your intimate, globe-trotting evening. THE CLINCHER: On Trinidad’s food menu, you’ll find hot-from-the-oven flatbreads layered with heaps of lump crab, creamy avocado yogurt and fresh basil ($11), or smoked-and-peppered bacon, salty Manchego and a rich balsamic reduction ($11). The curried-goat-cheese version ($9) shows off the spice theme best, smartly countering the zesty seasoning with paper-thin Granny Smith slices and golden raisins. 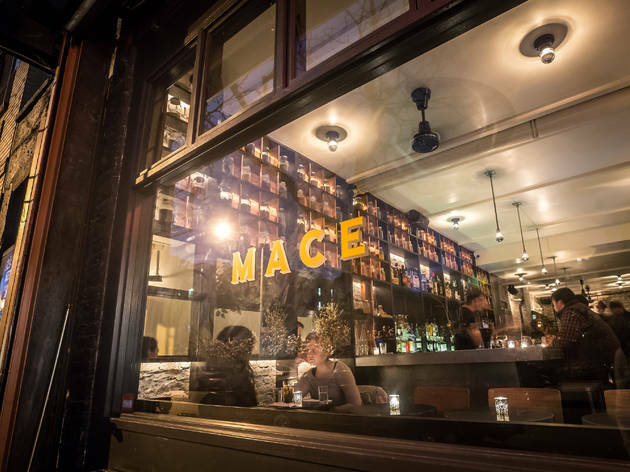 Dishes to drinks, everything at Mace is spice-focused but still pretty damn sweet.